Rolex is introducing the new Oyster Perpetual Explorer with an entirely luminescent display for enhanced legibility. The model’s characteristic 3, 6 and 9 numerals are now filled with a luminescent material emitting a long-lasting blue glow, like the hour markers and hands. This exclusive Chromalight display offers exceptional legibility in any conditions. The hands are also broader and longer for enhanced visual comfort. The new Explorer carries the Superlative Chronometer certification redefined by Rolex in 2015, which ensures singular performance on the wrist. Explorer after Rolex by 2015 laid the new standard test, certified as top-level observatory precision timepieces. 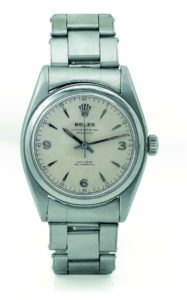 This unique title proves the success of the watch through a series of Rolex laboratory tests, the standard more than the watch industry’s routine and level. The wristwatch is assembled for testing to ensure that the watch is worn on the wrist and is capable of delivering top-of-the-line performance in precision, power reserve, waterproofing and self-winding. Movement into the case before the test Rolex top observatory precision timepieces, the average error of less than two seconds per day or less, than the average precision of the Observatory certified precision time of twice. The Rolex Deepsea designed for extreme underwater exploration and uses the patented Ringlock System for the most advanced divers in the world. This beautifully designed watch can withstand the colossal pressure of the sea 3.900 meters (12,000feet) deep. The Rolex Deepsea is also equipped with a unique bracelet, featuring a double extension system for a perfect fit over any diving suit. If that wasn’t enough to wet your tastes buds this watch is also equipped with a Helium Valve. If the outside of the watch reaches 3 to 5 bars the valve opens to release helium stored in the watch. This pressure system keeps the watch safe from decompression damage. Taking as their starting point the diameter of the movement and dial of the ROLEX DEEPSEA, the design engineers calculated the technical dimensions required to resist the shock of the 1,500-bar pressure test. At a depth of 15,000 metres, the load exerted on the crystal is 17 tonnes and on the case back nearly 23 tonnes; the equivalent of about 10 SUVs piled on the watch.